Various applications are developed on a regular basis and some of them crash right after they are launched. The application development process is both time-consuming and difficult. Earlier iOS developers used Objective-C programming language to develop iOS apps but in 2014, programming-C was replaced by Swift. Swift provides a clean syntax to make it easier for app developers to read, write and modify an app easily. With the help of Swift programming language, iOS application developers can use lesser code lines in comparison to an Objective-C programming language. When an iPhone application is developed, Swift helps developers save time which thus helps reduce the overall development cost. There were a lot of drawbacks associated with Objective-C programming language and application developers were finding it difficult to design an app using it. Swift’s syntax and language construction have been successful to overcome these challenges. Swift creates a short feedback loop in case of bad code. In such cases, programmers can code with intention and fix the problem easily while writing them. With timely bug fixing, application development cost gets reduced to minimal. With Swift, the applications stay safe and stable even when updates are made in an operating system. One of the core reasons for Apple to introduce Swift programming language was its high speed. Just like Objective-C, Swift is also based on C, which is faster and efficient in comparison to Python or Ruby. Using swift, static system users and software developers can expect high-speed operations easily. In 2015, Apple announced Swift as an open source platform. With this announcement mobile app development companies started using it across a variety of platforms infrastructure. Since it is an open source app, developers were able to provide Apple with suggestions for improvements. With the help of constant feedback, it was easier to make changes in this programming language. Responses from the developers not only helped in improving it but also made it ready for future innovations. iOS app developers always had difficulties working with Objective-C. With constantly rising issues, it was difficult for the developers to prevent the app from crashing. Swift offers inline support due to which it became easier to manipulate data and text string. Swifts lesser coding and manipulation prevents developers from errors and it also saves their time while building an app. Application development is an intricate process for software developers. App development companies should offer clear suggestions to enterprises on the basis of requirements they have. 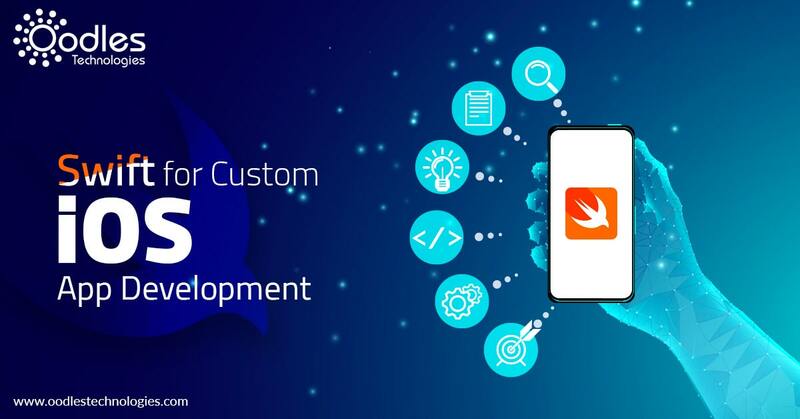 To get solutions for custom swift app development get in touch with oodles Technologies. We provide development solutions for iOS apps, android apps, swift app development and more. Contact us now for details!